(1) the door frame, bear the load from the upper. 2 crossbar: limit the door frame lateral displacement, increase the stiffness, shear supporting role. 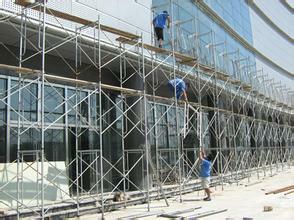 (3) expand the pressure surface, adjusting the scaffold of horizontal and vertical degree. (4) locking arm: restrictions on the vertical displacement, next door frame. (5) barge core: upper and lower door frame the positioning of the link rod. (6)the pedals: can enhance the whole stiffness of the scaffold. 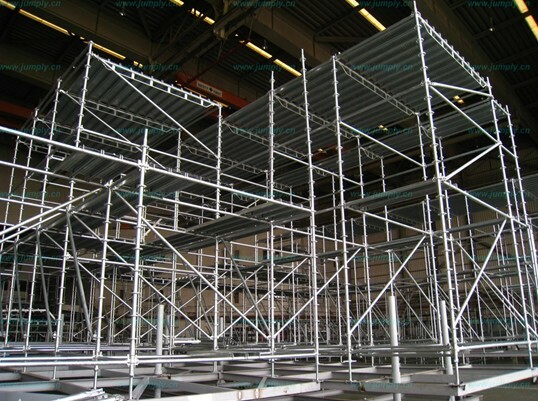 (7)Once connecting rod: and the structure of attachment, maintain the stability of the scaffold. (9)Being horizontal reinforcing rod: strengthen the overall stiffness of scaffold. levies crossed reinforcing rod: strengthen the overall stiffness of scaffold. ⑽ fasteners: rotation and right-angle fastener fasteners. ⑾ boarding ladder: use on the scaffold. 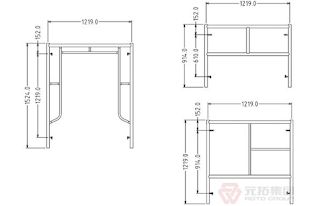 ⑿ : parallel to the frame instead of the pedals for overall stiffness enhance the scaffold.